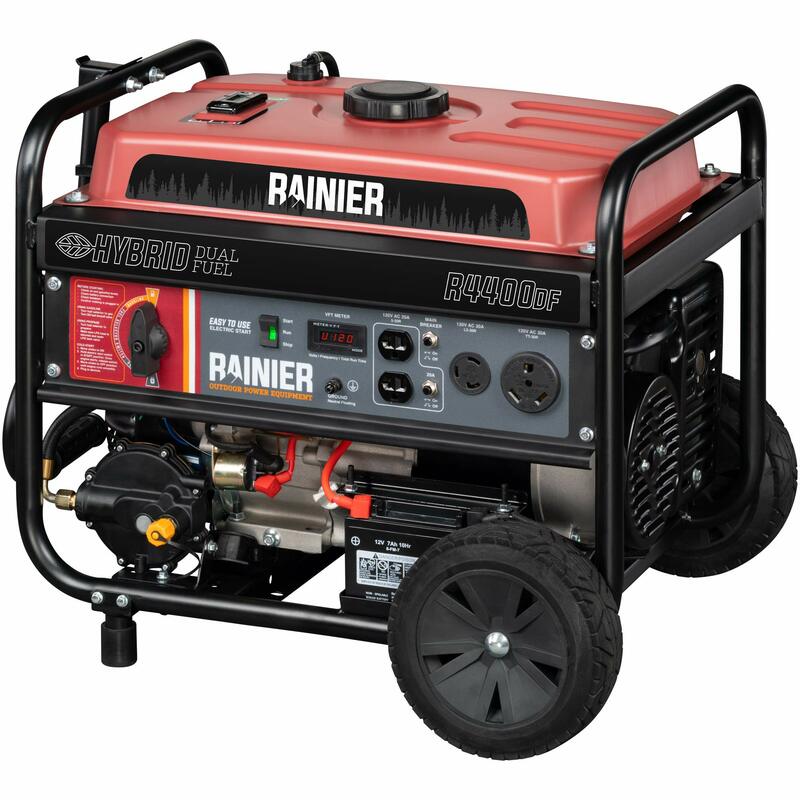 Remember when you could run your generator off either gas or propane? 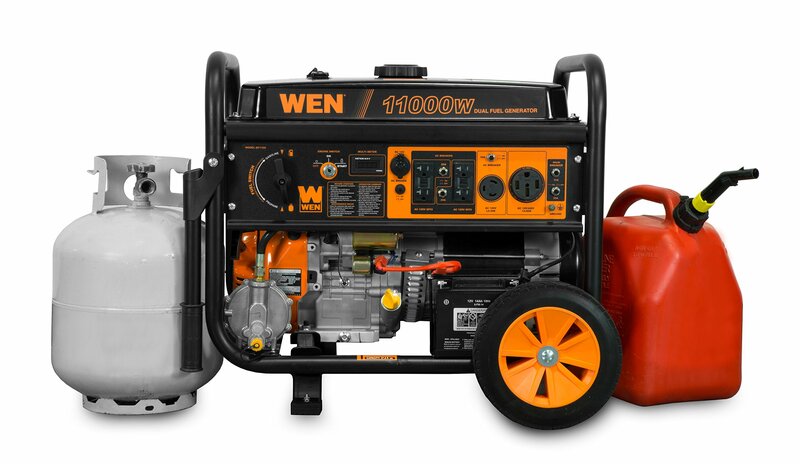 Whether we’re providing your home electricity during a crisis or charging your family’s cellphones at the campgrounds, WEN has been reliably lighting up lives since 1951. 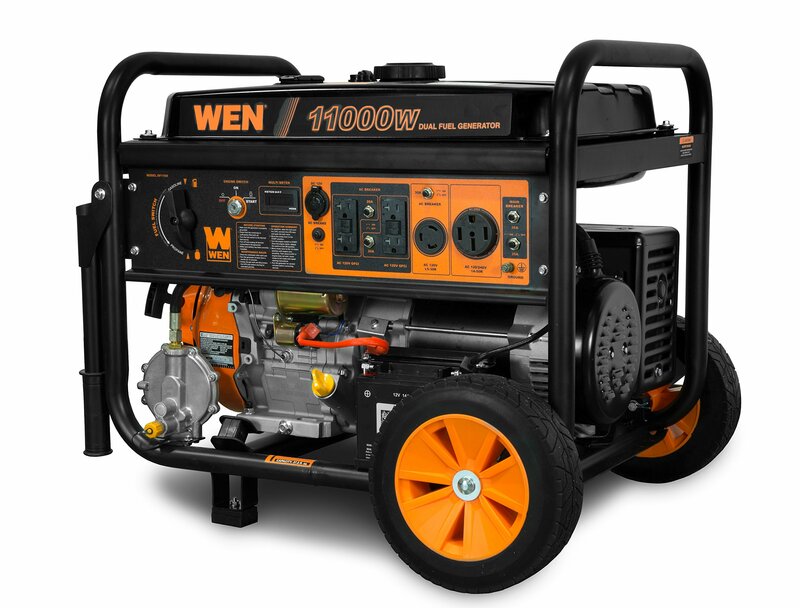 Now, with the WEN 11,000-Watt Dual Fuel Electric Start Generator, you’ll be able to create power from two different sources. 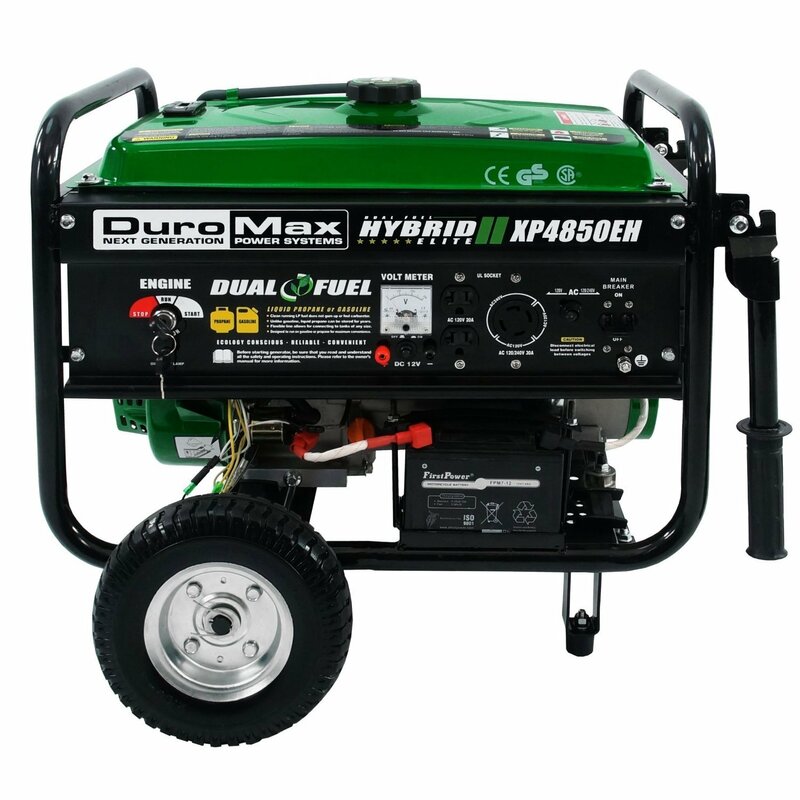 Simply select your preferred method, either gasoline or LPG, and power on the generator using the electric start. 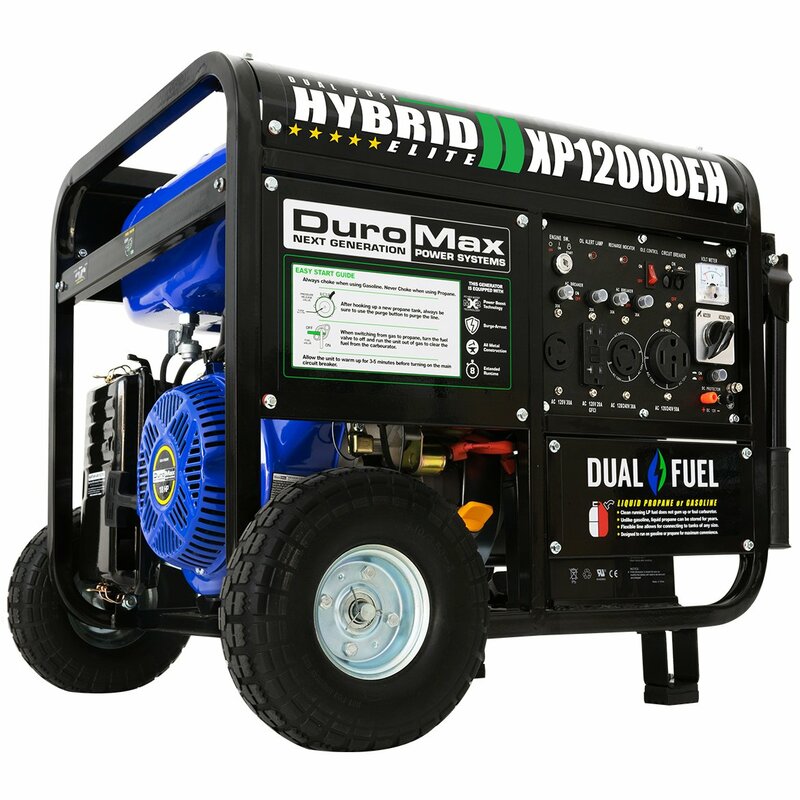 Propane provides the generator with 9,500 surge and 7,500 running watts while gasoline creates up to 11,000 surge and 8,300 running watts. Our packed panel features four 120V GFCI outlets (5-20R), a 120V 30A twist lock outlet (L5-30R), a 120V/240V 50A outlet (NEMA 14-50R), and a 12V DC cigarette-lighter-style plug. Run your lights, TV, refrigerator, sump pump, power tools, or other essentials with ease. 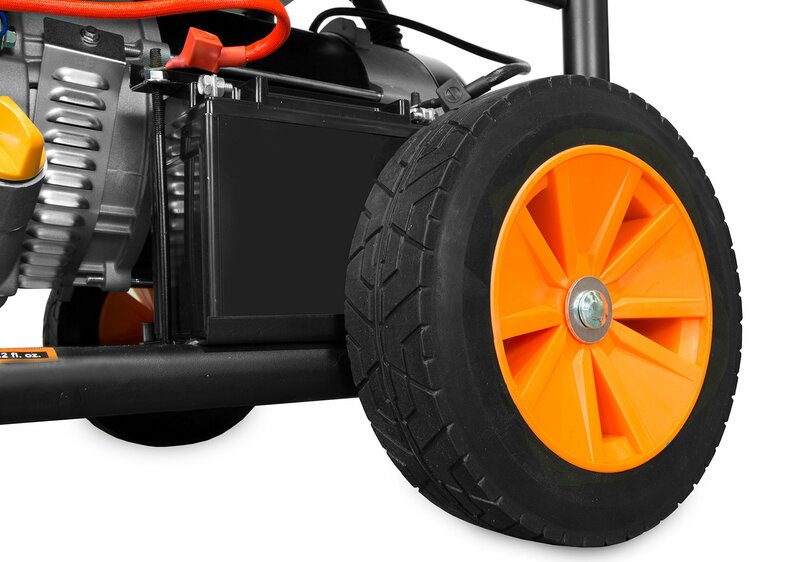 The wheel and handle kit makes transportation easier than ever while the included 47-inch LPG hose allows for immediate connection to propane tanks. 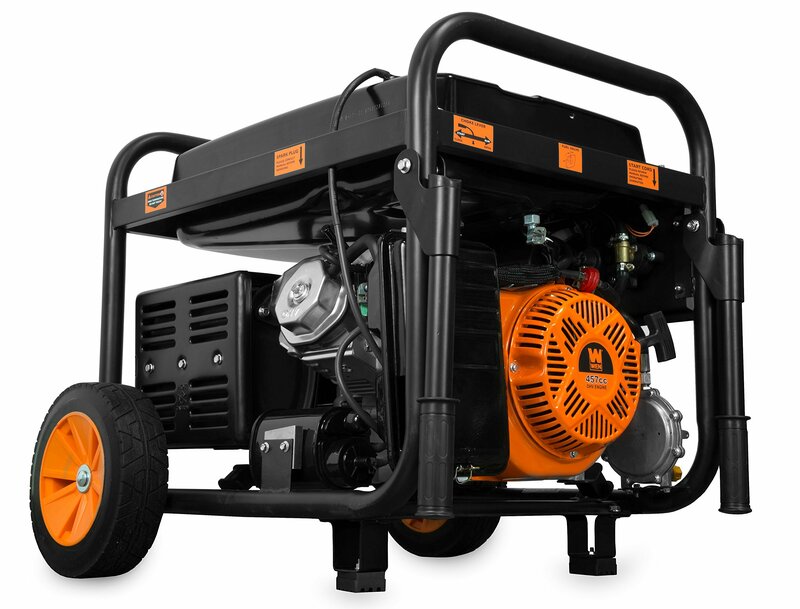 With its 240 volts of power and 457cc engine, this CARB & EPAIII compliant generator is the perfect companion for emergency back-up. Simply plug your transfer switch into the NEMA 30A twist lock for electricity in times of need. 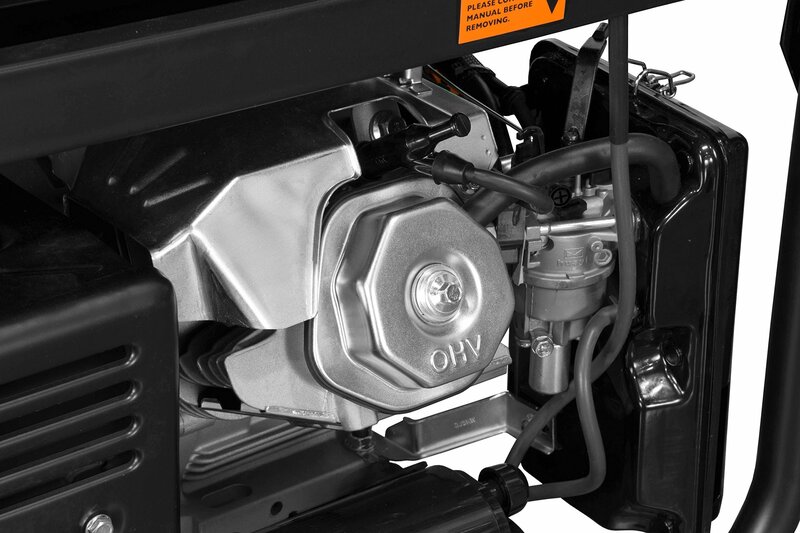 Fill the gas tank with up to 6.6 gallons of gasoline for an 8.5-hour half-load runtime. 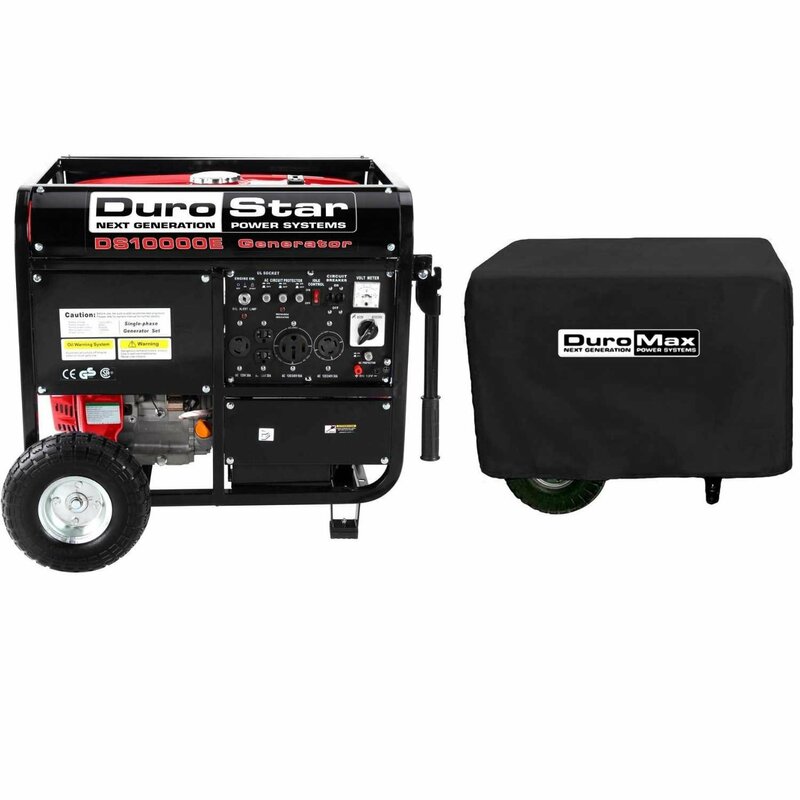 It’s durable enough for the job site and compact enough for easy storage. 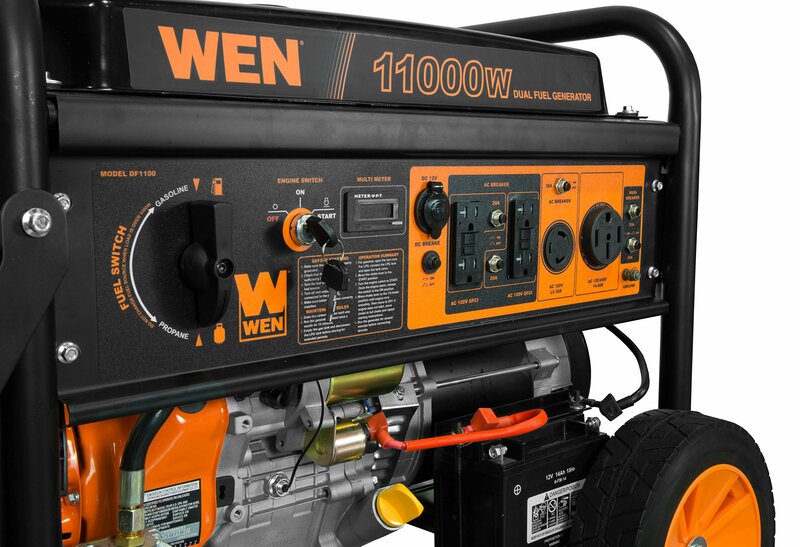 And because its a WEN product, your generator comes backed by a nationwide network of skilled service technicians, a friendly customer support phone line, and a two year warranty. Remember when you didn’t have to worry about the power going out? Remember WEN.